Our loving wife, mother, grandmother, teacher and friend, Mary Lou Pearson passed away unexpectedly on October 19th, 2011 surrounded by loved ones. Mary Lou was born August 6th, 1945 in Denver, Colorado to David LeRoy Jr. and Helen Green Sargent. She grew up in Salt Lake City and graduated from Olympus High School. 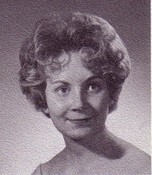 Mary Lou attended Utah State and graduated from the University of Utah. She married her Eternal companion, David Reuben Pearson on June 27, 1966 in the Salt Lake Temple. He was the love of her life. Mary Lou lived a very full life that was dedicated to her family, her church and teaching. 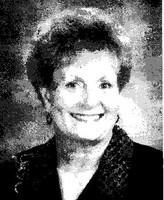 She was a Second and Third grade teacher in Davis County for over 28 years. During those years she touched the lives of many. She spent countless hours and took special attention to having a classroom that was full of learning opportunities for her students. When she was not involved in schoolwork, Mom was making bread and cookies for those in need of some extra love and attention. Mom loved to sew. She created the most beautiful wall hangings and quilts. She loved golfing with her friends and gardening. Her greatest joy was her grandchildren and spending time with them. She had a strong testimony of the gospel and especially loved serving in the Relief Society. Mom was devoted to making sure her husband, children and grandchildren were always taken care of. She always made sure to tell every family member how blessed she was, how much she loved them and how proud she was of them. She will be greatly missed. She is survived by her husband, mother, children Jeff Pearson (Tracy), Carmel, IN, Kristin Harrop (Matt), Layton, Tracie Burnett (Mike), Fruit Heights, Natalie Delight (Dustin), Farmington, and 15 grandchildren. Also, brother Steven Sargent (Helen), and sisters Lynn Sargent (Steven), Ann Haslam, Jeannie Fenton (Tony), and Lorrie Allen (Jeff). She is preceded in death by her father David LeRoy Sargent Jr. and her brother, David LeRoy Sargent III. The family would like to express their sincerest appreciation to all the family, friends and neighbors for their loving kindness and support, especially over these last two and a half years. Funeral Services will be held at 11:00 a.m., Saturday, October 22, 2011 at Kaysville 22nd Ward Chapel, 201 S. 600 E., Kaysville. Friends and family may call Friday evening from 6:00 to 8:00 p.m. at Russon Brothers Mortuary, 1941 N. Main, Farmington and Saturday morning from 9:30 to 10:30 a.m. at the church prior to services. Interment – Kaysville City Cemetery.